WineStix are a new form of oak integration for wine, designed to give new barrel flavors with an extraction time similar to cubes. The combination of Short and Long grains result in amazing gradience of flavor similar to barrels, while extracting significantly quicker! These are Medium toast North American Oak staves, and depending on the wine, will impart flavors of roasted nuts, hints of spice, cinnamon, and vanilla. The American Oak Tank Staves are sized to provide New Barrel flavor to a 60 gallon lot of wine. Doing more than 60 gallons? Simply toss in another stave! 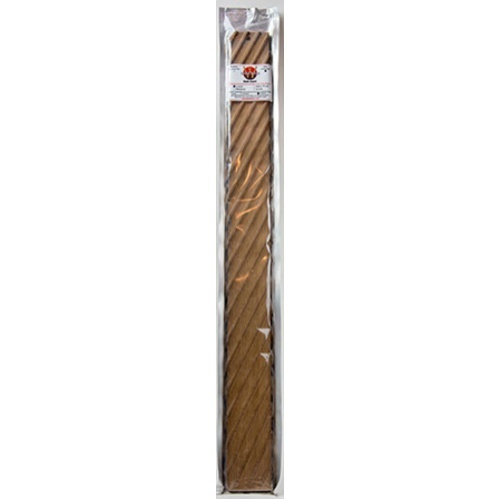 Another advantage of the WineStix over traditional staves is that these will not stick together like flat staves would, the cross-hatch pattern will result in consistent extraction throughout the life of these. These can also be cut down if necessary to dose a smaller batch of wine. Stave measures 4 in. W x 37 in. L.